On March 20, 1960 Elvis travelled to Nashville, to hold the first session after his army discharge. The results of this and the following session (April 3rd, 1960) shoot him back in the charts again. 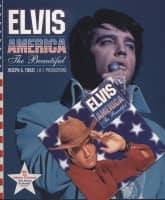 RCA already had 1.275.077 pre-orders for Elvis' first post-army single release. Although he hadn't recorded it yet ! Two years in the army hadn't changed his success. He was back in business and the Colonel wouldn't give him time to rest. On March 26, 1960 the now slightly tamer Rock-Rebel appeared at "Frank Sinatra's" ABC TV show where he introduced two of his new songs : "Fame And Fortune" and "Stuck On You" (The taped special was aired on ABC on May 8, 1960). But beside of his singing career Elvis also had a number of movie contracts on hand. The first film after his duty was "G.I. 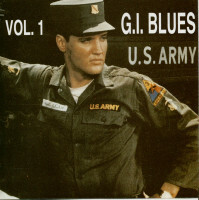 Blues" which featured Elvis in his role as a U.S. Army soldier in Germany. 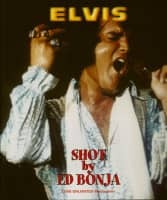 Paramount wanted to release a soundtrack album with the film, so Elvis had to record quite a number of songs prior to the movie production start on May 2nd. So, on April 27. 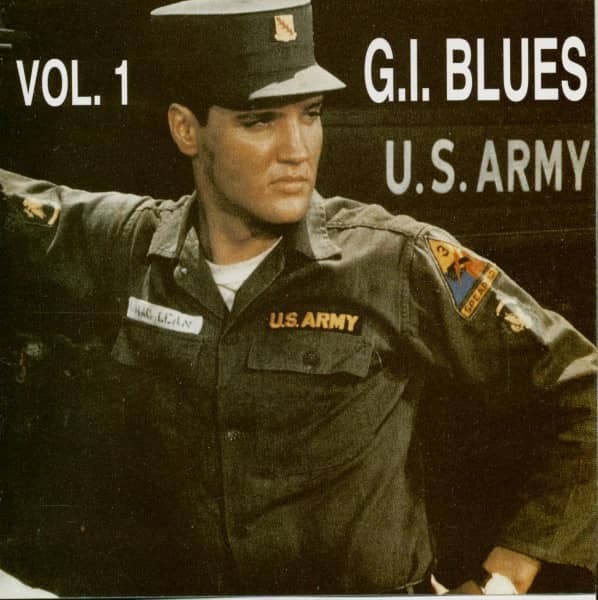 1960 Elvis entered the RCA Studios in Hollywood for the first time to record the "G.I. Blues" soundtrack material. The session lasted into the morning hours of April 28. The sessionwork done at this occation will be documented with this new three CDs collector's series. 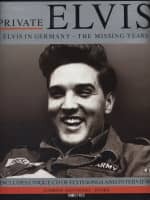 You can also hear Elvis using some german phrases like "Play it kind of schneller", "Was, was, was" or "Ach so" ! 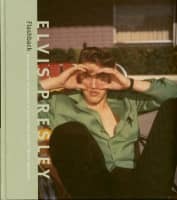 On May 6, 1960 Elvis returned to the studio to record overdubs and flickers for the previously recorded songs. Unfortunatly, we do not have these overdub sessions available yet. But the basic sessionwork is contained. Enjoy the king at work ! Customer evaluation for "The Complete G.I. 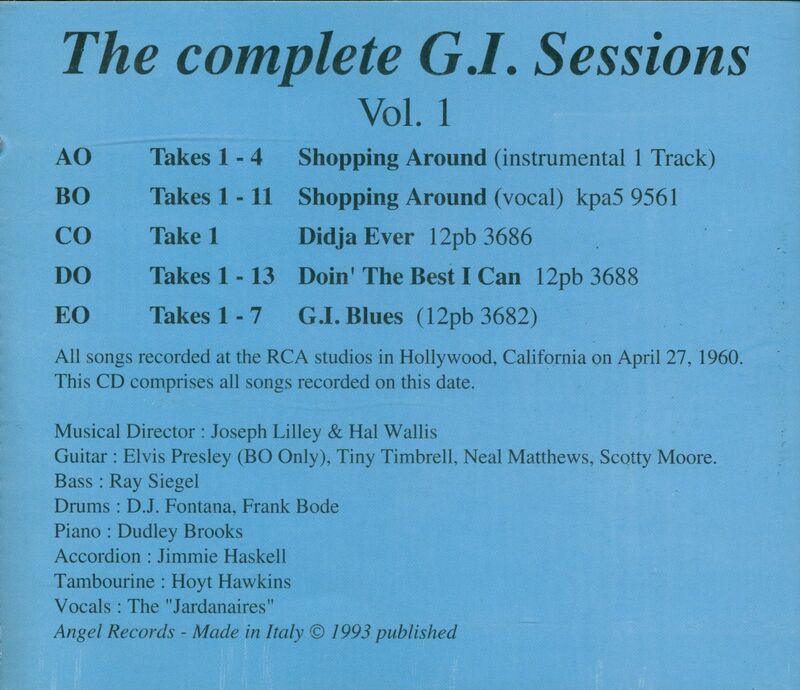 Blues Sessions Vol.1 (CD)"